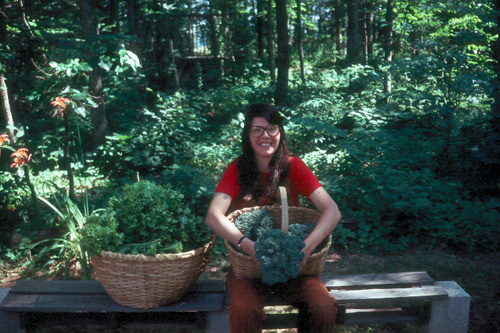 History of Perelandra #1 - Perelandra Ltd.
Garden harvests and Machaelle in the early years. 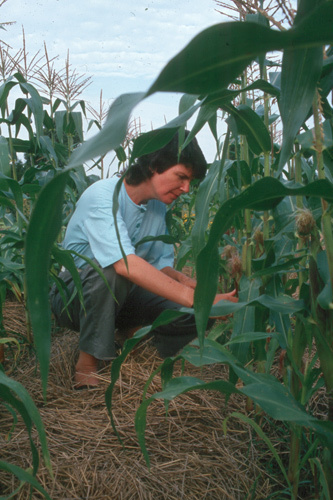 Machaelle working with the corn in the research garden in 1984. 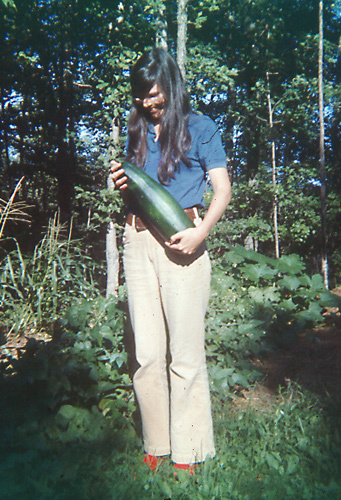 Haven't a clue what she's doing.